However, some parents still drug their babies to sleep. If you want to make your baby fall asleep, try this instead. 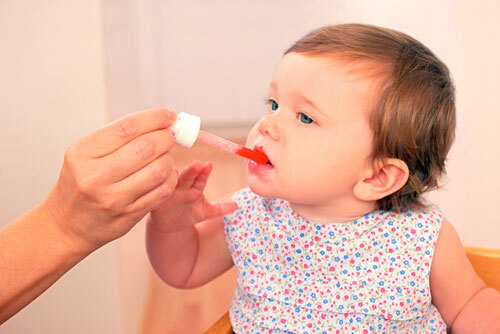 While it might seem like a quick and easy solution to potential problems you might have when flying with young kids, most pediatricians try to discourage parents from giving kids anything to sedate them on an airplane. The benefits usually don’t outweigh the risks … The sedative effects of Benadryl may last a good 4 to 6 hours, which may be longer than your flight, and even after your child wakes up, he may be drowsy or groggy for several hours afterwards. So even if he sleeps on the flight, you might end up with a fussy and irritable child afterwards. You might love StarBucks, but starting kids on this is something you should not do. Believe it or not, getting kids “caffeinated” is an increasing trend these days, according to a study by the Boston Medical Center. The study by the Boston Medical Center looked at 315 moms and toddlers in the Boston area. Researchers were surprised to find that many moms were giving their babies coffee. Caffeine is a stimulant. 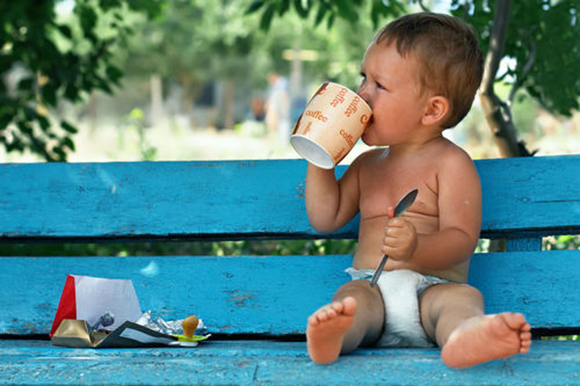 Caffeine consumption in kids has been found to cause children to sleep less. As we know, sleep is important for a child’s development and growth, especially at such a very young age. Some other adverse effects of caffeine on kids are jitteriness, nervousness, increased heart rate, and increased blood pressure, among others. Eventually, you will need to sleep train your kid. However, some parents think locking their kid’s door is the answer. However, this could potentially have some serious safety repercussions. Locks don’t belong on a child’s door. They belong on the things children shouldn’t have access too. Medication should always be kept in a locked box and then stored out of reach (like above the refrigerator). Lock the outside doors. Lock the basement door. Lock the bathroom door. I once knew a family that had double baby gates (one stacked above the other) on their kitchen entrance … I’d consider a door alarm, but not locking a child in. Of course, you would like to keep your kids warm especially when the weather is cold. However, keep in mind that you should not do this next practice. Time and again, parents are guilty of this, especially when they are in a hurry getting in and out of their vehicles. When your child has a puffy winter coat on, the car seat harness won’t be snug and tight. This therefore puts them at risk of being ejected from the car seat if an accident occurs. Some people might find this hard to believe. The truth of the matter is that it really can happen. Still not convinced? Check out this video to see how dangerous this can be. Going to the mall with your baby is a great way to unwind. However, make sure that you don’t do this next thing. See next page.